In our voice channeling session he told me that he has been with me through many lifetimes and called me his little “Starseed.” Archangel Metatron said his purpose with me is to be my guide and gatekeeper and that he is helping me to move forward on my path and to believe in myself. He said that I was here to spread love and help people awaken to their soul’s purpose and to just be myself! Everything he shared was guidance I really needed at the time, and listening back to my channeling a month later I gained even more from it. Totally amazing! Through this voice channeling session with Archangel Metatron speaking through me, he told me that this program, Miracle of Voice Channeling and working with Jason will give me the confidence I need and that voice channeling is one of my niches that will be of the strongest of my calling. It’s only been four and a half months since I completed just the first workshop, Practitioner 1, and I’ve channeled many beings and also facilitated several other people into their own voice channeling experience, since that is something Jason also teaches in the first workshop level. Joan Rivers, Michael Jackson and Robin Williams have recently been coming through me, which has been a delightful and sometimes alarming surprise with Joan Rivers in particular. She is funny but also very forceful. Joan began coming to me when she was in a coma and she calls me “Sweet Cheeks” and the co-host of my radio show “Giggles.” Unbeknownst to me, my co-host’s nickname in High School was Giggles! Then Joan started calling her “Twisted Sister” and she was shocked because years ago she had gotten into an accident and her sister called her that same name! Joan has wanted me to update my website with something like, “I hear from Angels, Ascended Masters and Joan Rivers” but I haven’t done that yet. I never watched Joan Rivers but of course I knew who she was, so I’ve wondered why she has come to me. When she first came I wasn’t having any trouble connecting with Angels and Ascended Masters but I was having trouble with my deceased family coming through. I can be too serious and Joan helped me to lighten up. I led a friend of mine through voice channeling for the first time. She was in pain and very down. When I spoke with her I had no intention of taking her through the voice channeling technique but spirit told me to take her through it. It opened up so much for her and spirit explained the lesson behind her pain and the messages were really uplifting. Immediately the pain subsided and she was excited! 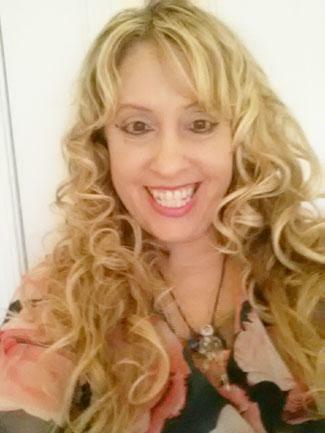 "The voice channeling process in this program has enhanced all of my natural mediumship and psychic abilities. It’s more than voice channeling, it has helped in every aspect of my life. Family relationships have improved and I feel like it’s easier to connect with people I work with in sessions. Since I’ve been channeling I don’t worry about things. Instead of going to friends I voice channel advice because I get what I need from spirit. I may not always get what I asked for, but I get what I need. After voice channeling is like a Soul Massage. My soul inside feels beautiful and radiates. I have received so many benefits with the voice channeling technique and I want to help as many people as possible. I’ve helped people in deep physical, mental and emotional pain with the divine guidance of spirit. God puts people in my path and I am amazed!"